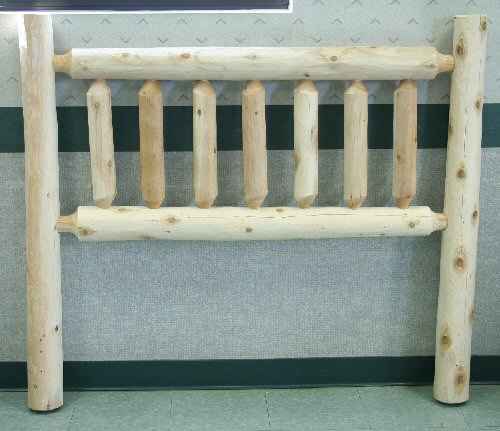 The look of our Cedar Log Furniture is warm and modern rustic. The feel is solid, natural and comfortable. The quality of our Low Post Queen Headboard speaks for the craftsmanship and care typical of Lakeland Mills Products. Add style to any mattress set. Our Low Post Queen Headboards are made of solid, natural cedar for long lasting good looks and years of sound daily use. Ships partially assembled, with easy to follow instructions for completion upon delivery. Anyone can have a great looking bed in no time.